So, some of you may not know this (since I barely ever post on here), but I’m a fan of classic manga. I tend to prefer series from the 70s, 80s, and 90s over much of the stuff we have today. Don’t get me wrong, modern day manga still has plenty of talented artists nowadays, and there’s plenty of series out there that retain what made manga special in the first place (much more-so than modern anime has, it seems), but to me, nothing beats the style of a lot of these classic series. 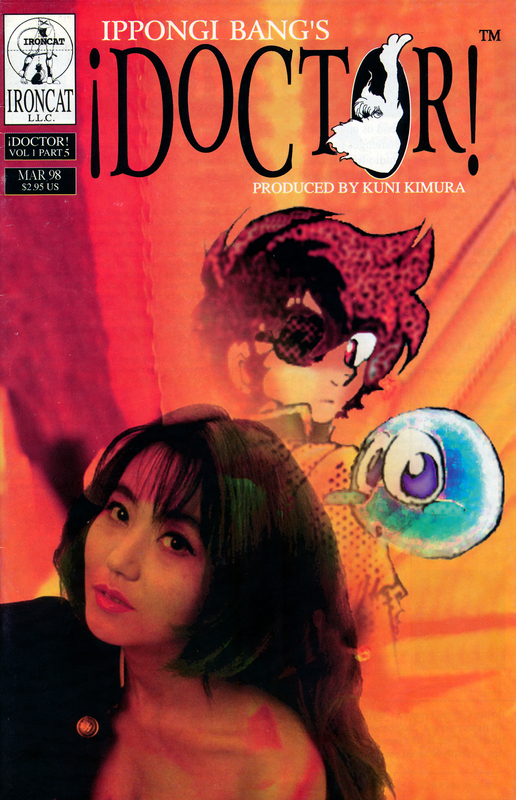 This series here is a one-volume series by the famous mangaka/cosplayer Ippongi Bang, called “Doctor!”, released in English by the now defunct Studio Ironcat in 1997-1998. The first 4 issues of this were released by HAO Scans way back in 2007. I stumbled upon this series while purchasing a bulk order with a bunch of old Studio Ironcat single-issue comics (specifically, I was buying a certain Go Nagai series to scan in), anyway, I decided I’d scan it in and release for everybody all of you. Download link is below. The interesting thing about Studio Ironcat’s releases (besides the really shoddy translation)… I believe they included 2 chapters with each issue, so even though I named the file “005” to stay consistent with previous releases, I think this would technically be chapter 9 and 10 of the series. There’s no real way to tell, since they only numbered some of them, all I know is that issue #3 started off with “episode 5”, there was a second story halfway through, and issue#4 started off with “Luchar Operacion 7”. This entry was posted in Official English Scans, Releases and tagged 1990s, IPPONGI Bang, Studio Ironcat. Nvm, i read the message. Thank you for finishing this manga.